Lisa Smith has been inspired by her many trips to the canyons of the southwest, Grand Canyon, Arches National Park, Bryce Canyon and others. These canyons are carved from water and wind. 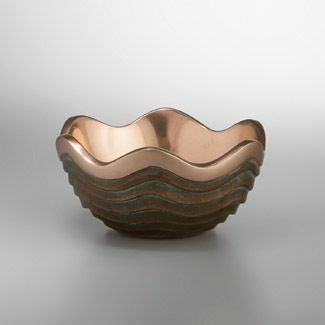 The coppery sand and desert flora are referenced by the copper and verdigris on the ripples and ridges of Nambé’s Copper Canyon Bowls. 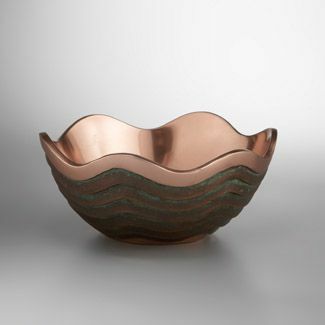 Due to subtly varying verdigris (green patina), each piece is unique, a sculpture of contrasting color and texture. 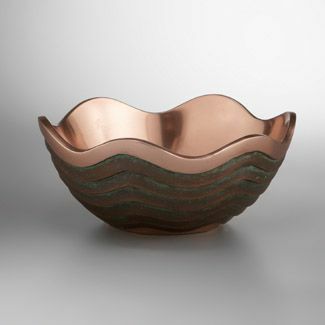 The deisnger scallops the rim in a symmetrical pattern, and emphasizes the scallops' rhythm with ridged, wave-like verdigris sloping down to the bowl's flat bottom. A smooth band at the top glows with the copper's pure warmth. 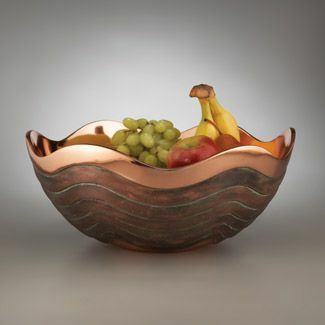 Copper Canyon Bowls are made of our signature Nambé alloy coated with copper for heirloom-quality durability. A clear protective coating makes upkeep as simple as wiping with a damp or soapy cloth and eliminates the need for polishing. These bowls are food safe, meeting all FDA guidelines. 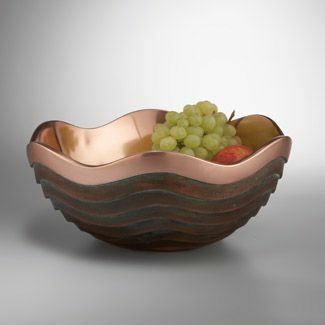 The Copper Canyon Bowls can be placed in the freezer to chill the bowl but cannot be placed in the oven or on the stovetop. 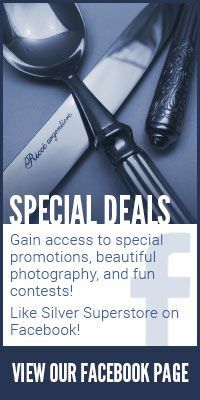 Free shipping is offered on these items (USA, APO and FPO only).